Never Stop Wondering, Never Stop Wandering. These boots just arrived the other day from Urban Outfitters and I am ecstatic! They're such a great color and are incredibly comfortable. 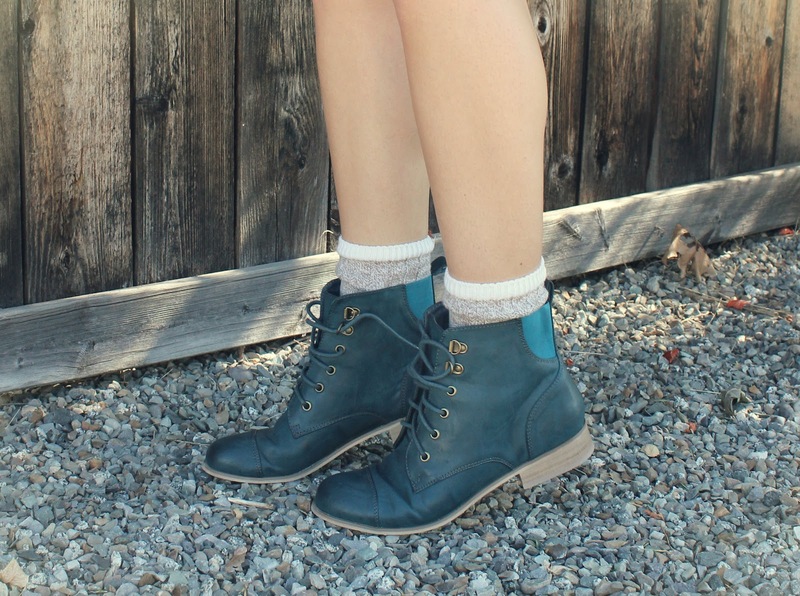 I love wear cute socks and boots together, it's always fun to mix and match different ones! Make sure and enter the Siren London Giveaway! beautiful outfit and even more beautiful colours.love tha bag. Your outfit x hair = perfection. I'm seriously so pumped for fall. Lovely look, love those warm reds/terracottas. gosh, those colours suit you perfectly! your hair looks so nice in here. Please be sure to check out my new blogspot, would be happy if we could follow each other again!